The Competition Commission's Healthcare Market Inquiry conducted over four years to probe the state of competition in the private healthcare market cost R196m, according to Economic Development Minister Ebrahim Patel. The minister provided a written reply to a question from DA MP Michael Cardo on the cost and other details of the inquiry, which started in 2014 and published its provisional report and findings in 2018. The final report is expected to be published in March 2019. The inquiry, led by a panel with expertise in law, health economics and sector experience, considered the state of competition in the private healthcare market. The commission also made use of specialists to support the panel, headed by ex-Chief Justice Sandile Ngcobo. "The total amount spent by the competition commission on the market inquiry into the private healthcare sector since its establishment in 2013 amounts to R196 949 637," Patel said in the written reply. The bulk of the costs - more than R78.6m – went towards human resources and operational costs. This was followed by R38.9m in costs for economic experts. Other costs included data warehousing and actuarial services (R13.5m), legal expertise and litigations (R12.5m), data de-identification and security (R9.6m), healthcare sector experts (R5.6m), and media and communications costs of R1.4m. The five panel members earned a total of R36.8m. Dr Cees Van Gent, who has expertise in competition economics, regulatory and health economics experience from the Netherlands, was paid the most - R11.7m, followed by Dr Ntuthuko Bhengu, who has both public and private sector experience, and earned R9.7m. Dr Lungiswa Nkonki who holds a PhD in health economics received R6m. Professor Sharon Fonn, who is the Dean of Health Sciences at Wits University was paid R3.3m, while Justice Ngcobo earned R5.9m. 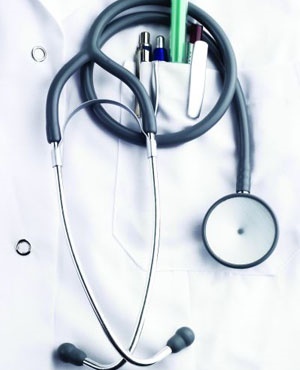 As Fin24 previously reported, the 484-page report's authors found that private healthcare in SA displayed consistently rising medical scheme premiums and increasing out of pocket payments while medical schemes were at the same time decreasing the range and depth of services offered. Medical aid schemes were "difficult to understand fully", and left consumers "confused and disempowered, compounding their inability to use choice as a pressure on schemes". "Our competitive analysis indicates that this absence of competitive pressure is primarily due to disempowered and uninformed consumers. There is no method for consumers to assess the value of the services that schemes procure on their behalf," stated the report.